This past summer we spent a week in Italy as part of a three week road trip in Europe. 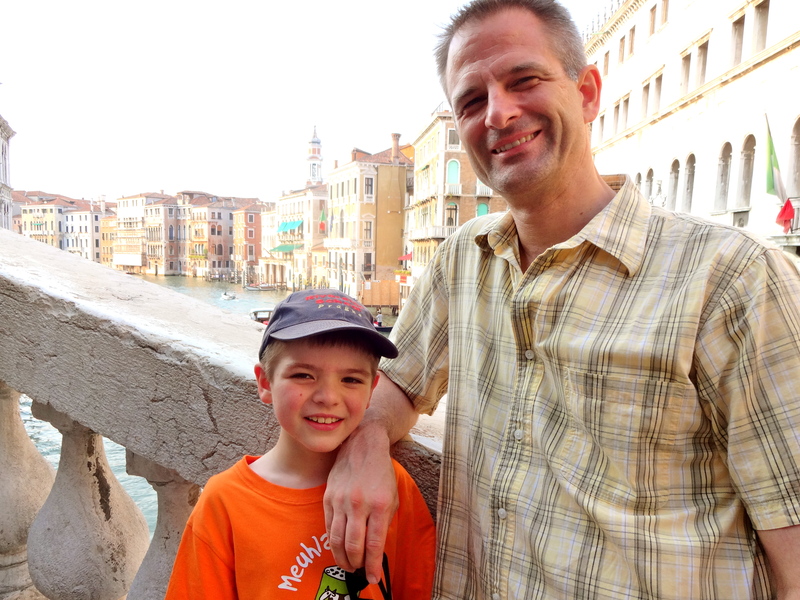 We used Verona as a base to see Lake Garda, Vicenza, and Venice. 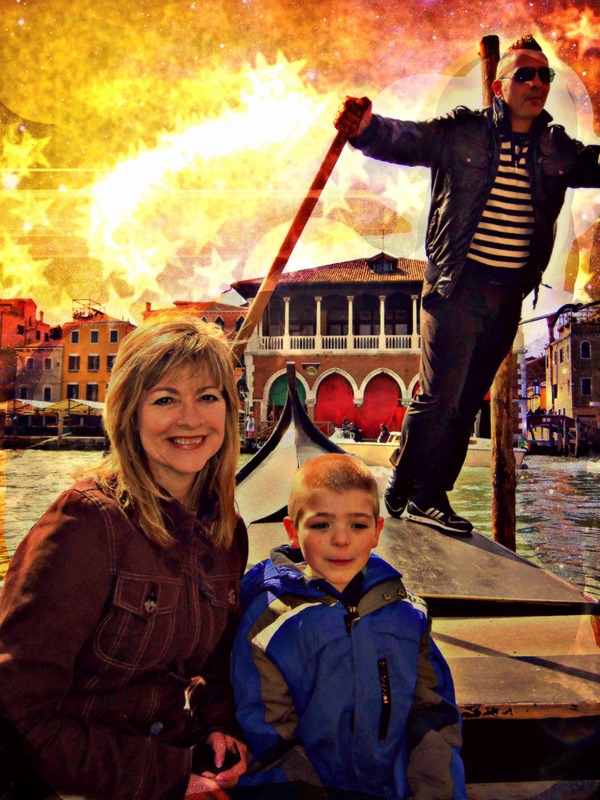 We had been to Venice in April 2012; but once in Venice is not enough! So we went back for a day trip. Venice looks like a magical floating city. 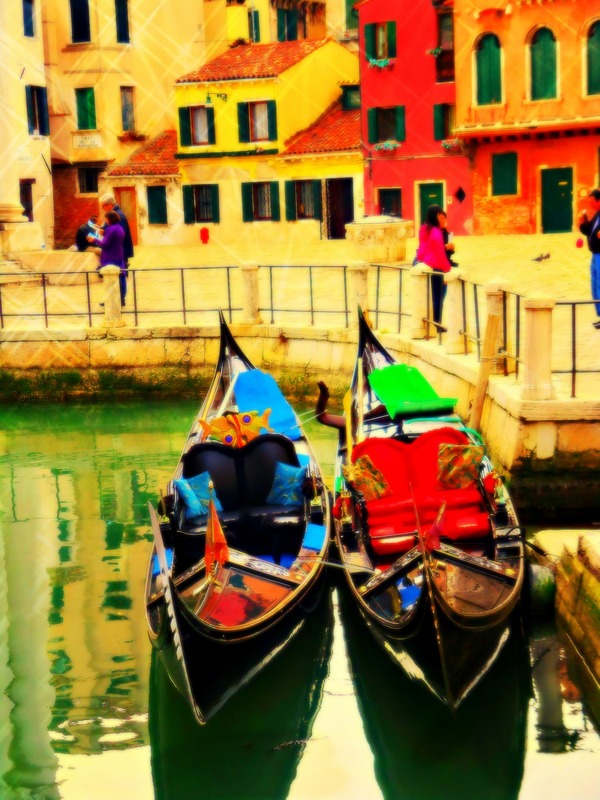 Venice is an archipelago of over 100 islands in the middle of a shallow lagoon, at the northern end of the Adriatic Sea. It was built by setting wood pilings on the 118 submerged islands. We constantly felt like we were walking around a movie set! 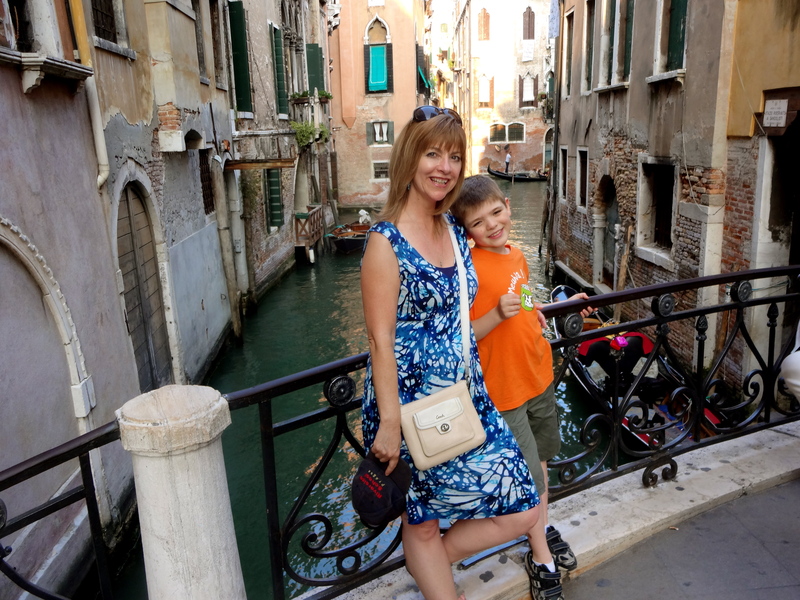 The best way to explore Venice is to get lost in the winding streets, crossing over picturesque bridges, and watching the gondolas go by. 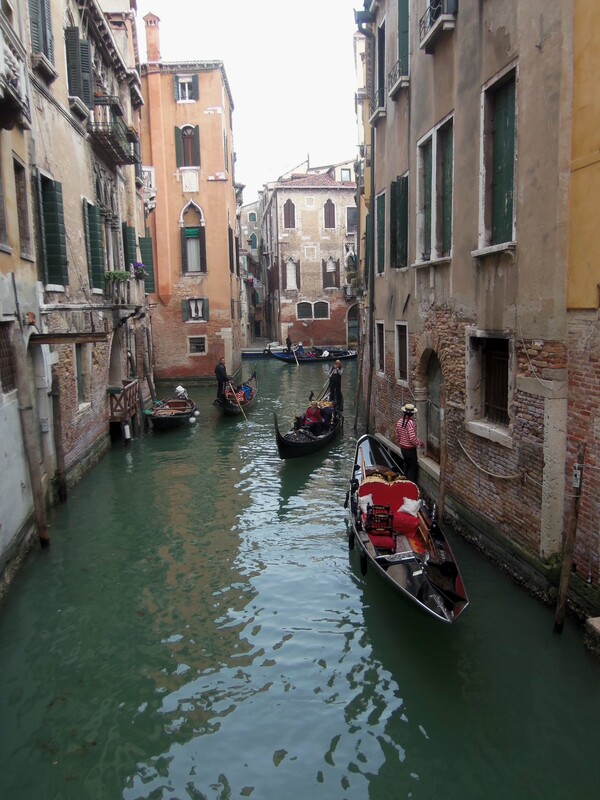 The alleys are narrow because the real streets of Venice are the canals. The main entrances of palaces and normal houses are on the canal-side. 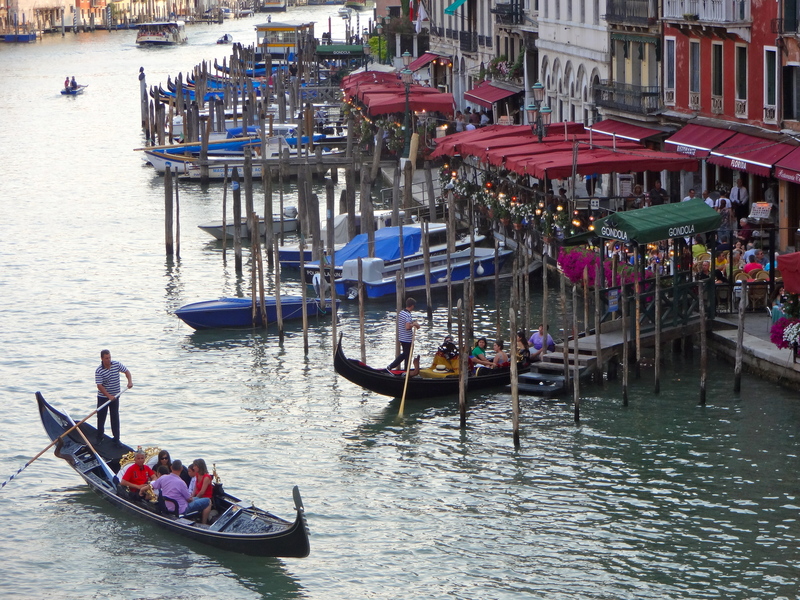 Like other cities, Venice also has a parking problem of its own… there are too many boats and too few docking spaces. 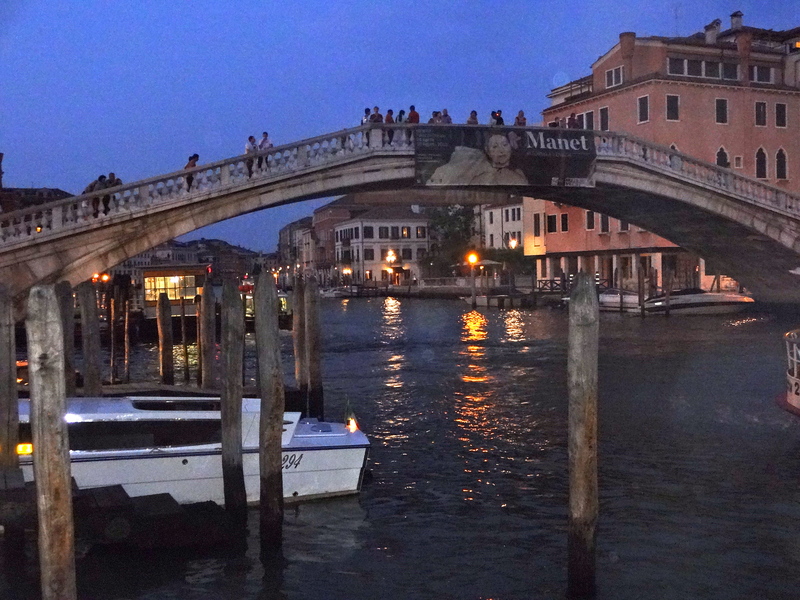 We are on one of the 400 bridges to be found in Venice! 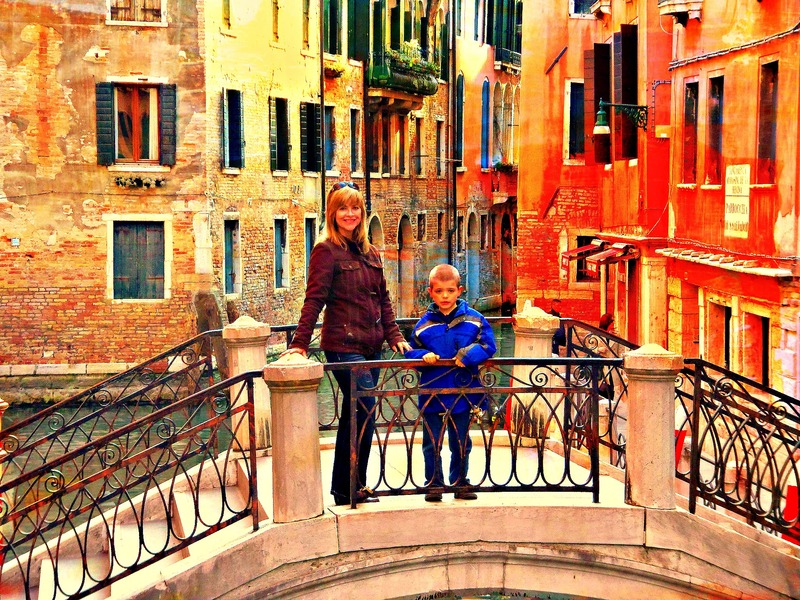 Behind us is one of the 170 canals. 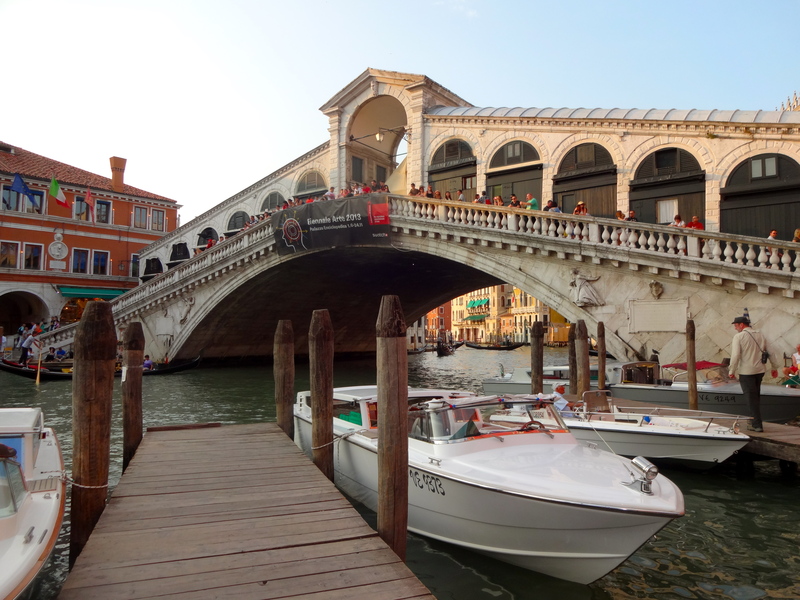 The Rialto Bridge was completed in 1591. Before it was built, people scoffed at the idea of building a bridge out of stone. Apparently, the following were common sayings prior to the bridges completion: “It will be constructed when I have 3 legs” or “I’ll set myself on fire if the construction is ever completed.” The architect had a sense of humor because today you can see two people carved in the arches of the building beside the bridge: a man with 3 legs and a woman sitting on a flaming brazier! Apparently Rialto Bridge was the finish line of a race that criminals were forced to run. 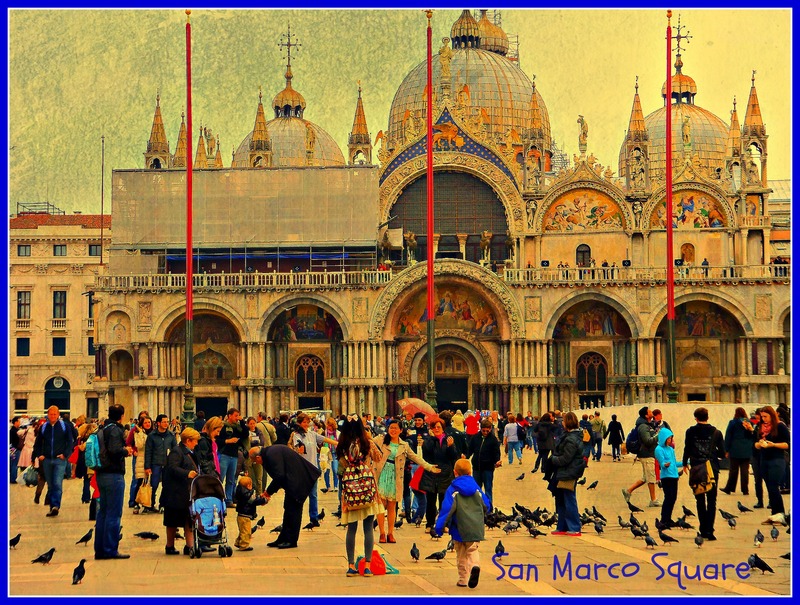 The race was a form of punishment and started at San Marco Square. The local people were allowed to hit the runners with sticks, whips, rotten fruit, or anything else they decided to throw. There is a statue of a hunchback on the bridge, and the convicts kissed the statue because they were so glad to be done with the race, having earned their freedom after enduring the punishment along the way. 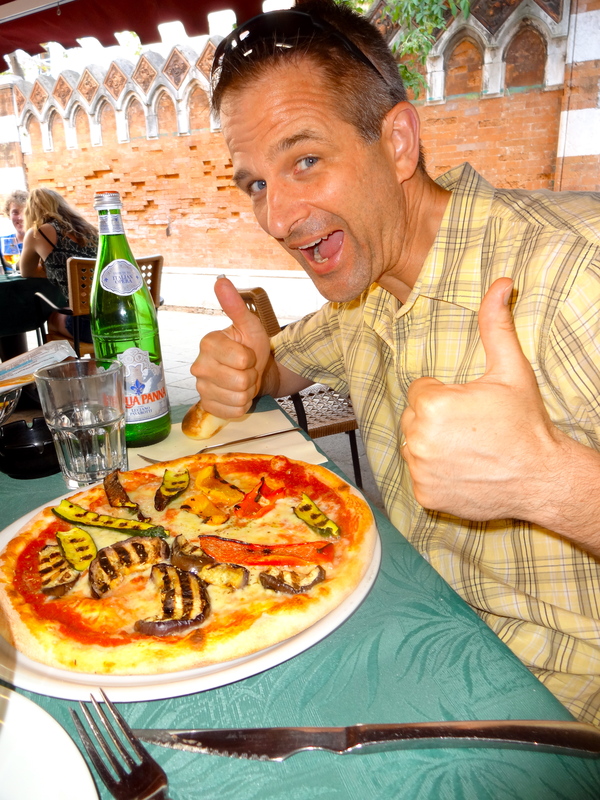 When in Italy one MUST eat pizza! We had a great lunch at this restaurant by a canal. 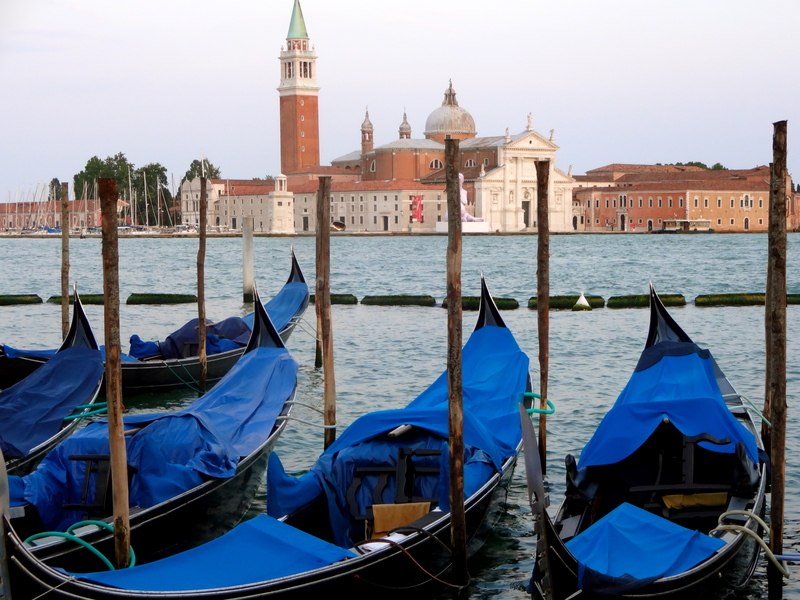 Gondolas have been used as transport around the narrow Venetian canals for more than 10 centuries. 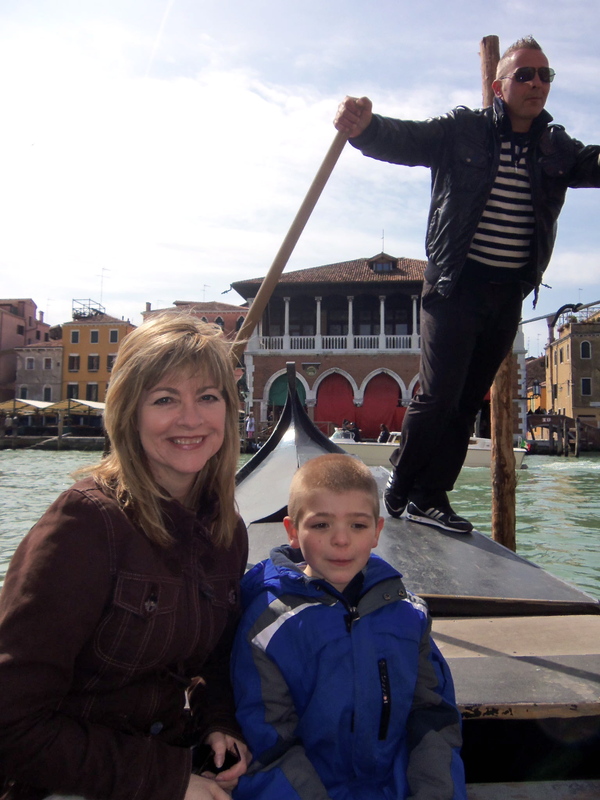 Gondolas are iconic symbols of Venice, and a gondola ride is a must-do on every tourist’s list…although they are very expensive! 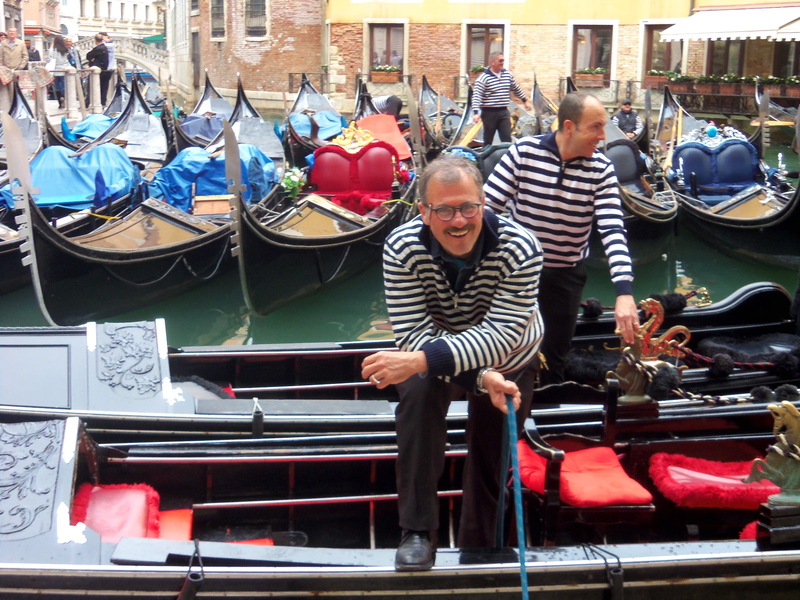 Did you know that only 3 or 4 Gondolier licenses are issued each year? 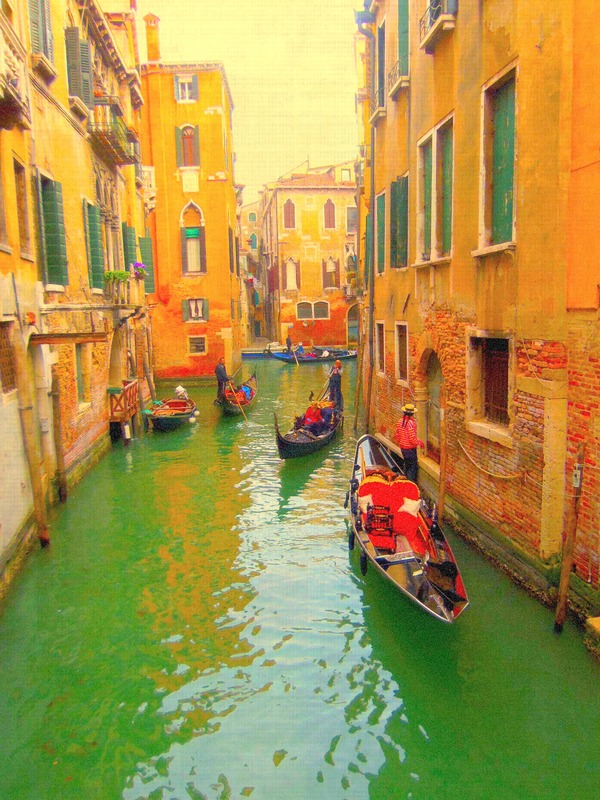 Gondoliers have to undergo intensive training and pass a rigorous exam. 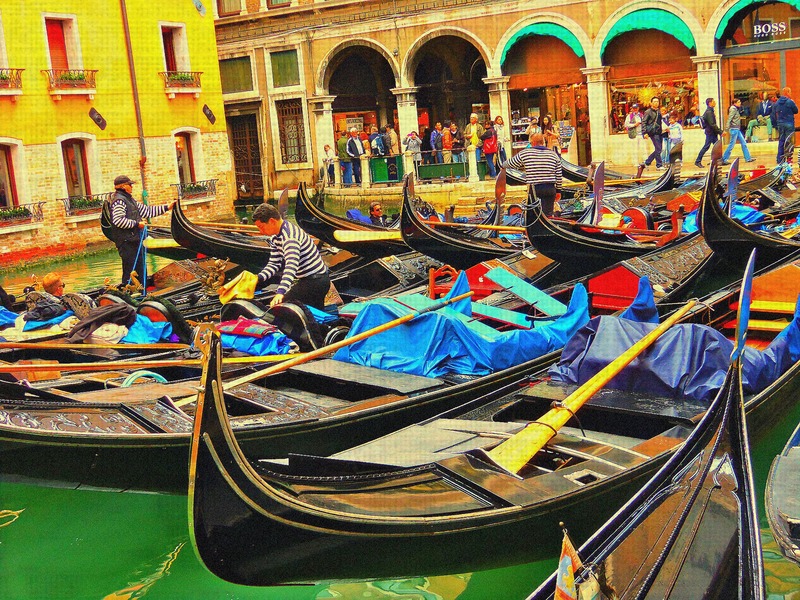 There are only 400 licensed Gondolas operating in Venice today. You are safe with me! 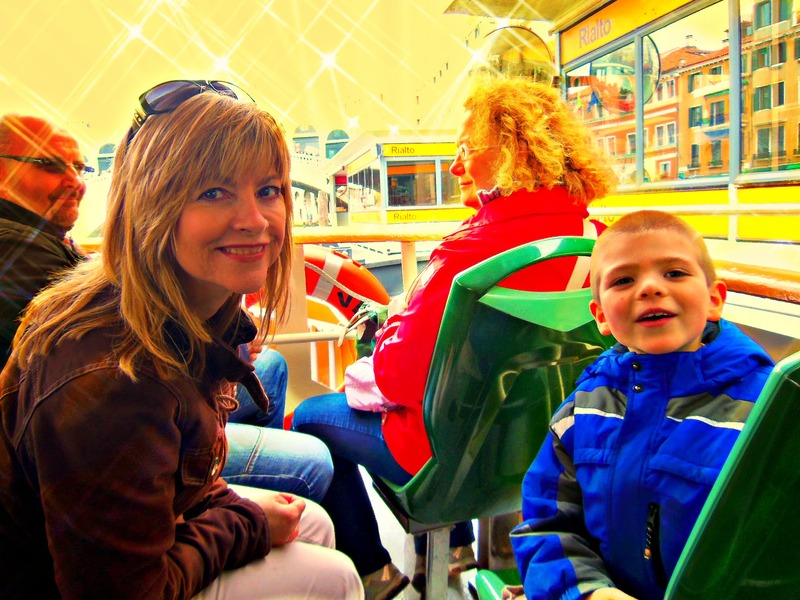 The photo below was our view from a public water bus (vaporetto); one of two main forms of public transport. The other main form is walking! No bicycles are allowed in any part of Venice; in fact, anyone caught on a bicycle is given a hefty fine. Speaking of breaking the rules…not long ago, actor George Clooney got in some hot water for driving a small water taxi without the required license. 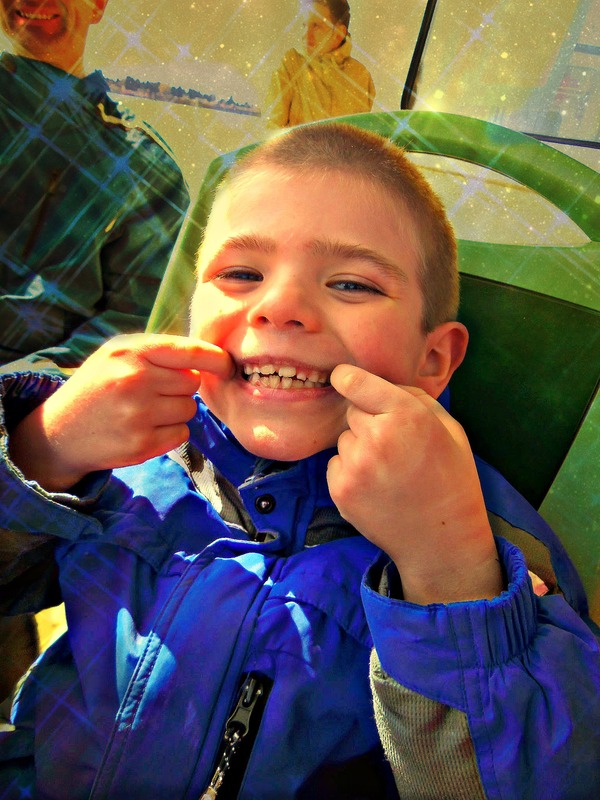 A local lawyer made a complaint and asked that the city police take action against the star. Later, when Clooney was asked about his new space thriller “Gravity”, he quipped that navigating the canals of Venice was tougher than being lost in space! When two buildings are joined by an arch, it indicates that both buildings were owned by the same owner. 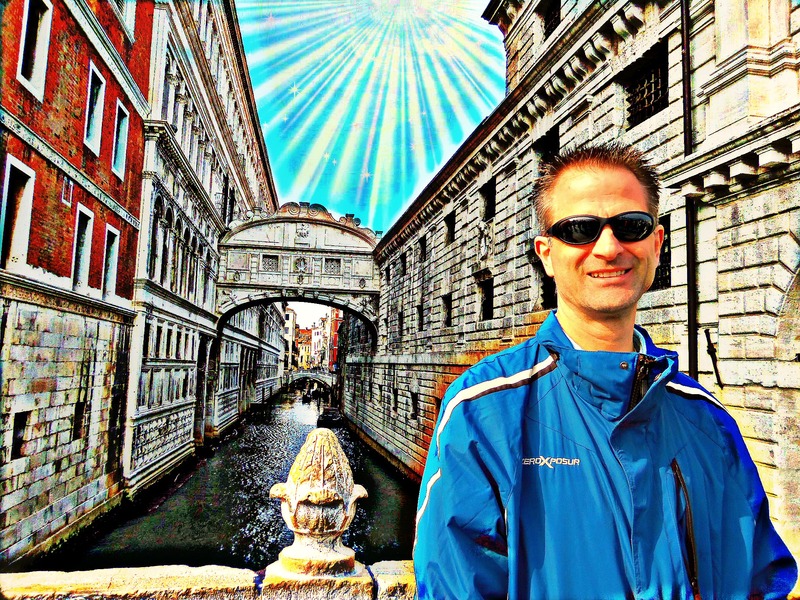 Venice was the greatest seaport of medieval Europe. It was Europe’s main trade and cultural tie to Asia. 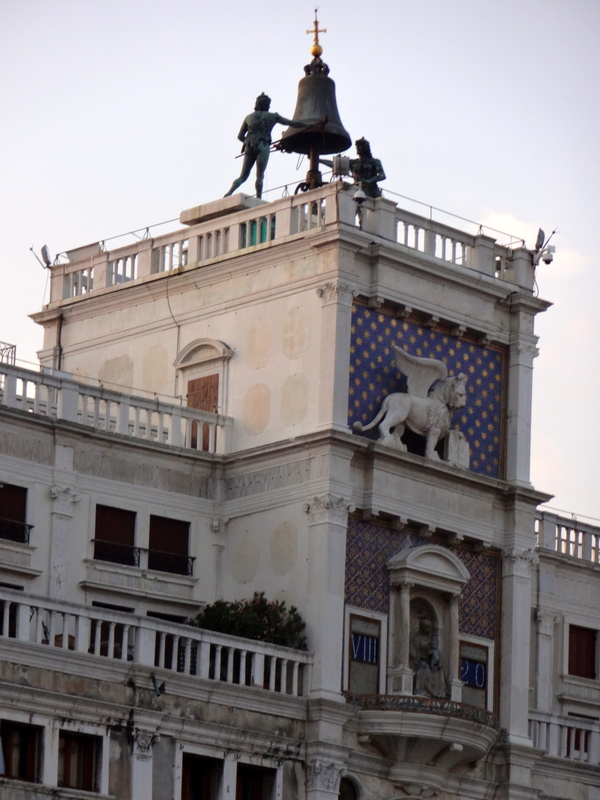 Marco Polo was born here! 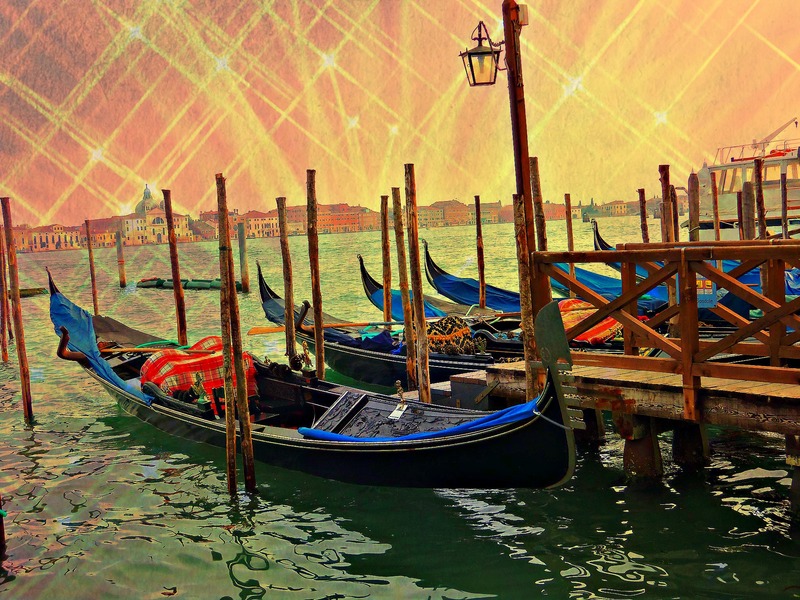 Other famous people who were born in Venice include the famous lover Giacomo Casanova, the composer Antonio Vivaldi, and painters Titian and Tintoretto. I wonder about the lives of the people who have lived in this flat…. 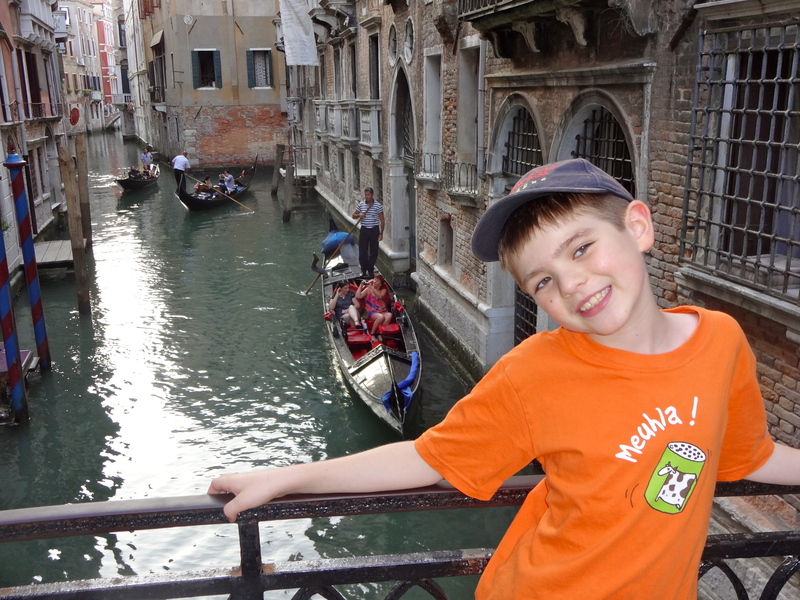 Did you know that Venice has no sewer system? Waste flows into the canals and is washed out to sea with the tides. No wonder we never noticed anyone swimming! 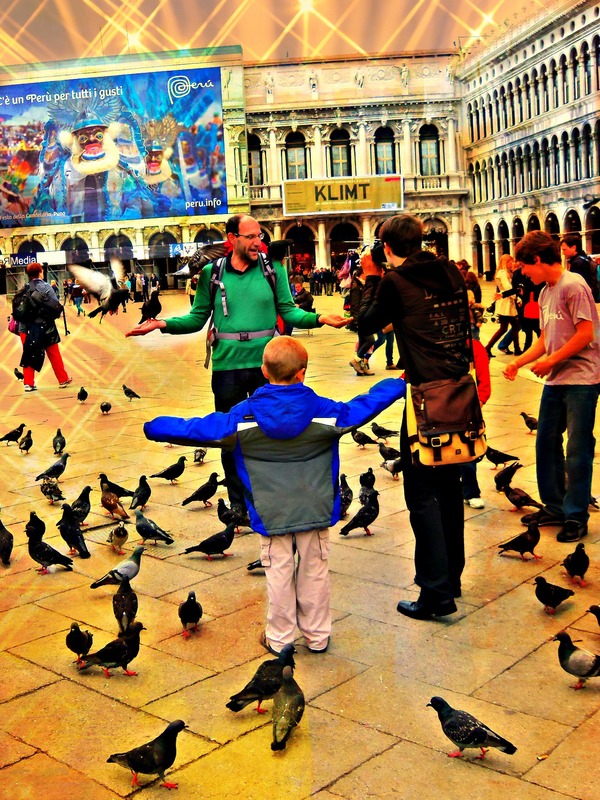 St. Mark is the patron saint of Venice, whose symbol is a winged lion. The lion rests its paw on an open book; the Latin inscription can be translated as: “Peace be with you Mark, my Evangelist”. 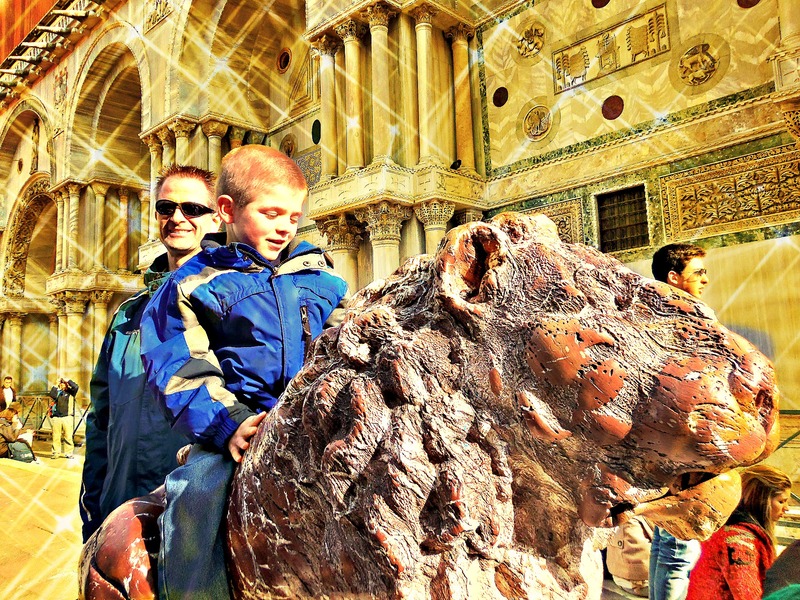 Do you know how St. Mark became the patron saint of Venice? 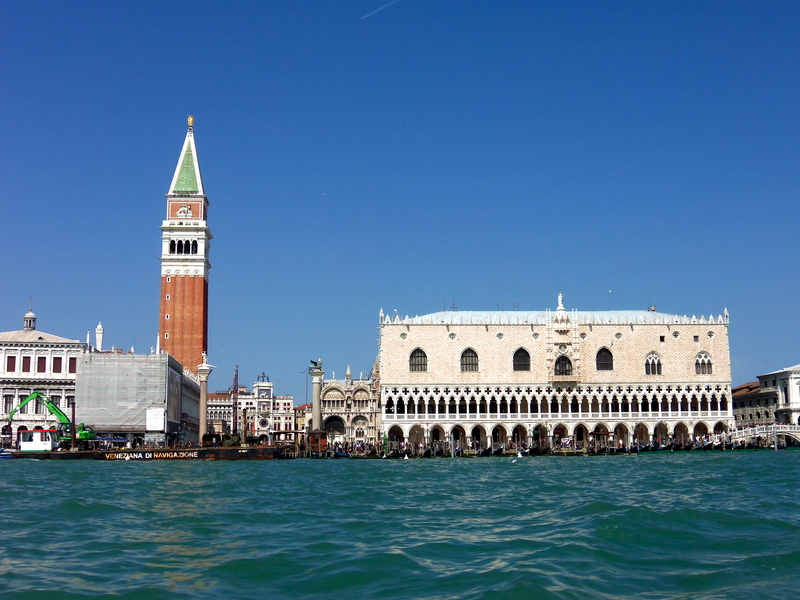 According to legend, a few Venice merchants in Ninth century stole the remains of St.Mark from his tomb in Alexandria, Egypt and brought it to Venice, where it is said to remain to this day. The story (as told by William Lithgow in 1619) goes that the merchants placed the corpse in a large basket covered with herbs and pork, which Muslims wouldn’t go near. The merchants cried “pork!” if anyone came to search their cargo, and thus safely brought the remains to their ship. Shortly after they got out to sea, the ship was buffeted by a great storm. St. Mark appeared and warned the captain to strike his sails, preventing the ship from being wrecked on hidden rocks. 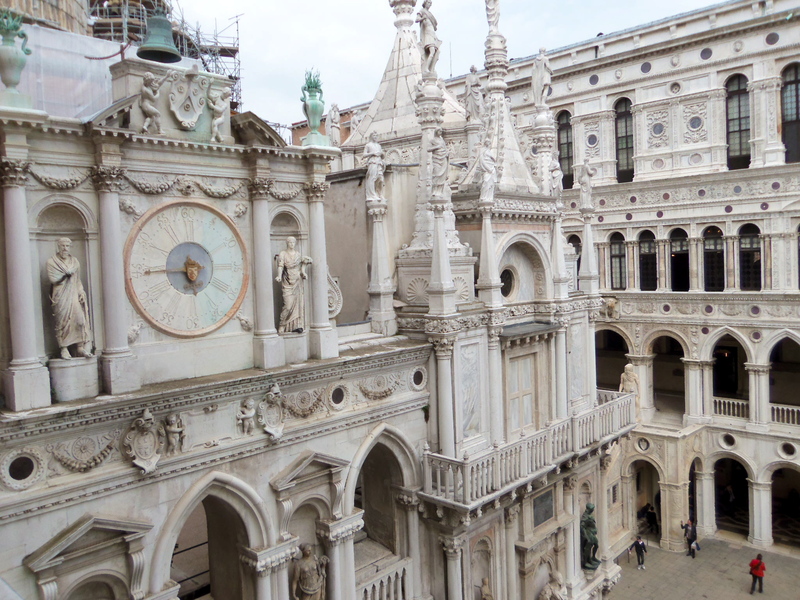 The merchants delivered the remains of St. Mark to the Doge, and the local religious and civic authorities elected St. Mark as Venice’s patron saint after hearing their story. 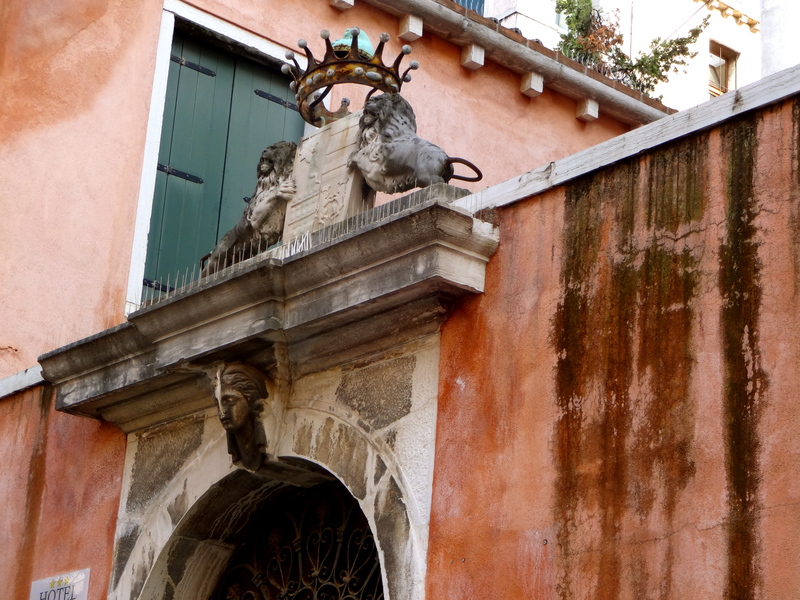 So that is how St. Mark’s symbol of the winged lion became the logo of Venice! 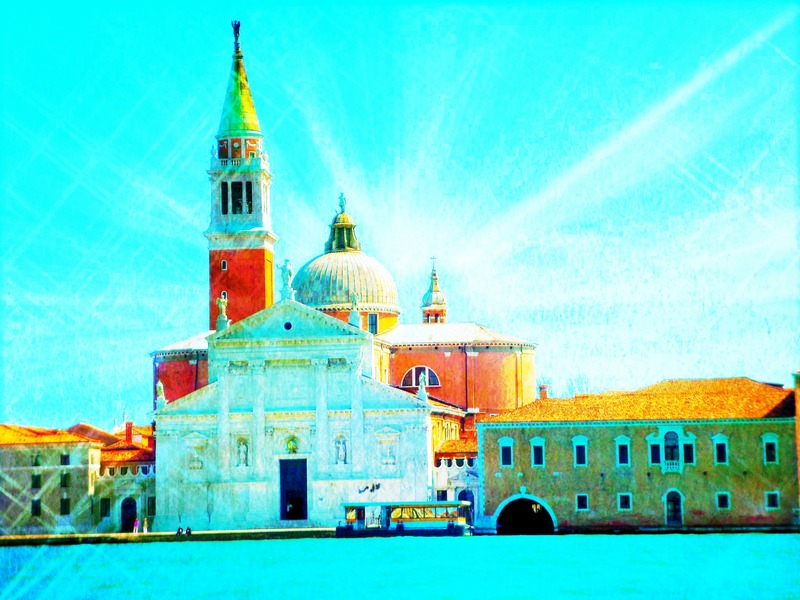 San Marco Basilica is. STUNNING. It’s in my top two favorite cathedrals…the other being the Church of the Holy Sepulchre in Jerusalem. 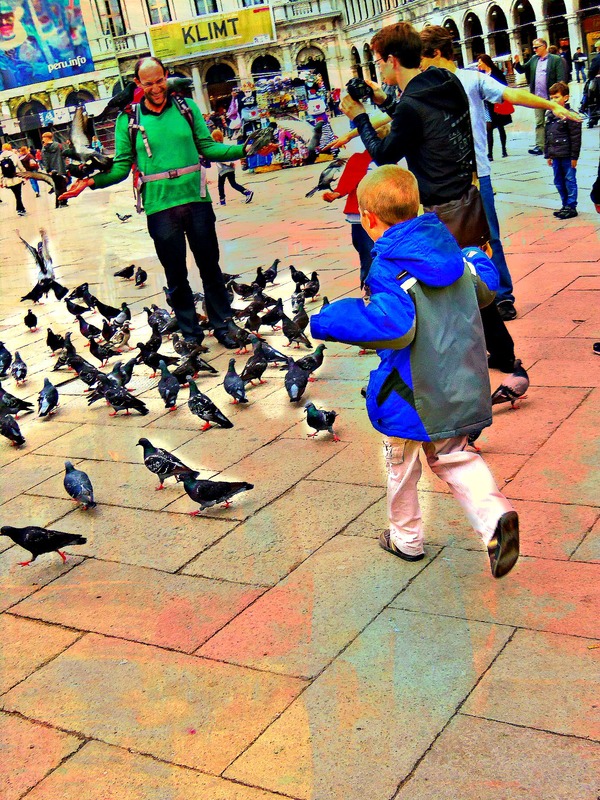 San Marco Square, July 2013: Nate still loves chasing pigeons…look behind me! 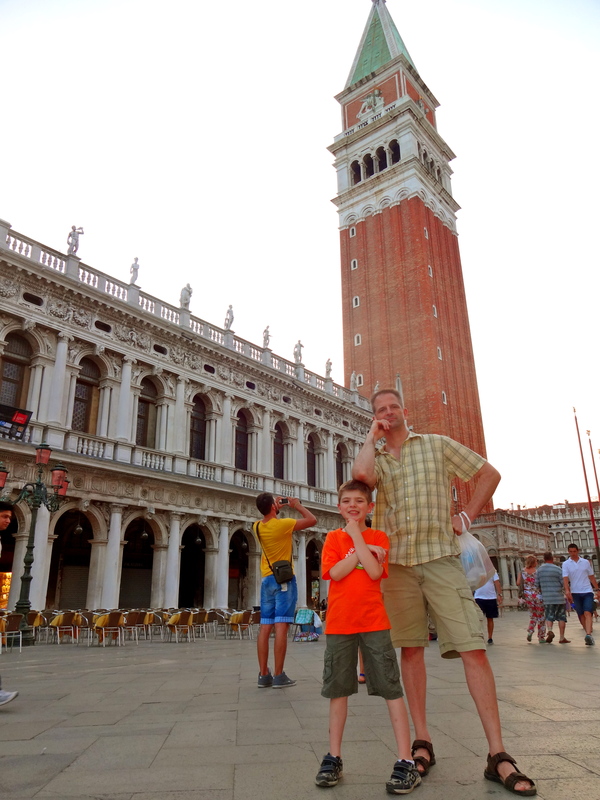 The Doge’s palace was built in the late 1100’s. 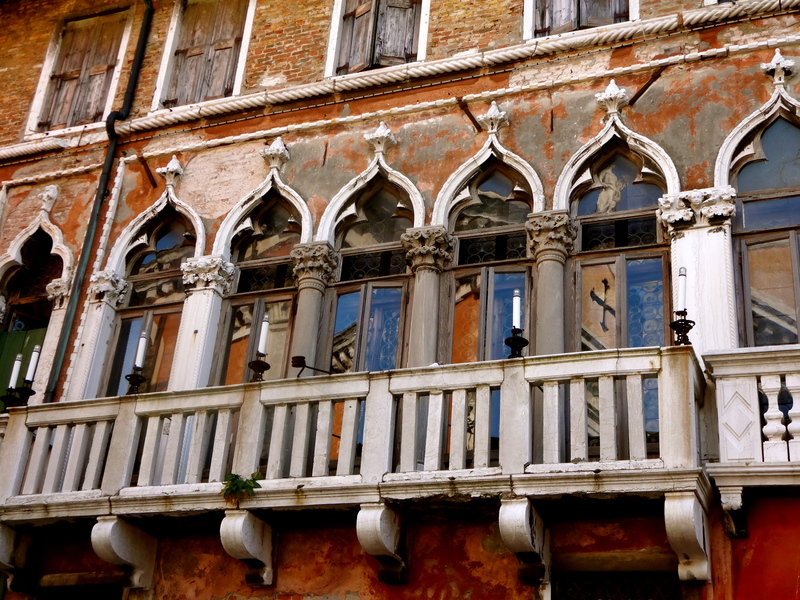 It was the residence of the Doge of Venice, who was the supreme leader of the Venetian Republic. The architecture is incredible. The photo below is just a teaser. 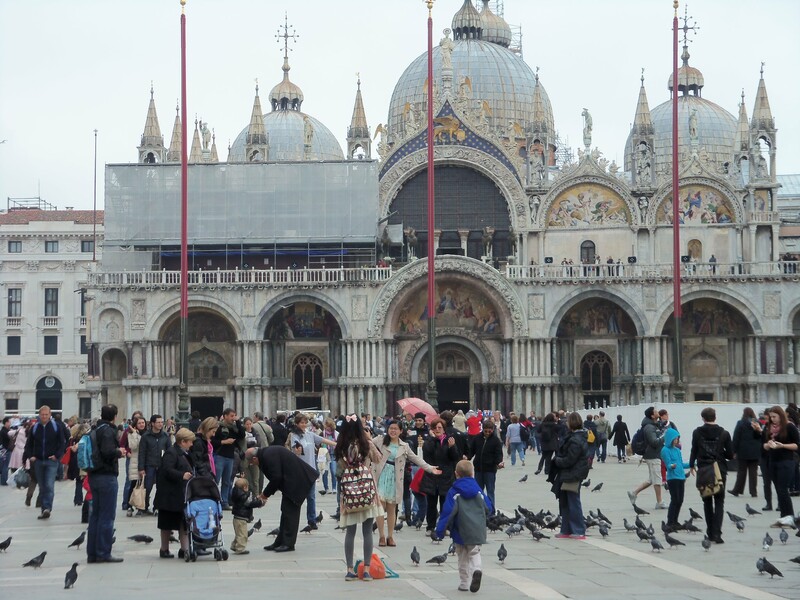 I really need to do a post just on San Marco Basilica and the Doge’s palace! Inside the courtyard of the Doge’s Palace. Apparently Carnival started as a celebration after a military victory in 1162. It continued until it was outlawed in 1797 by the King of Austria. 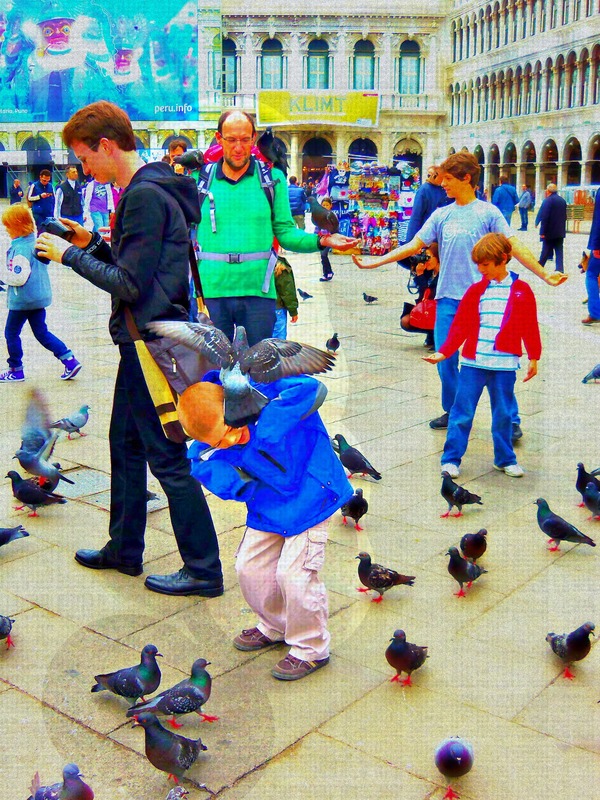 The festival of Carnival was reinstated in 1979, and now approximately 3 million visitors come to Venice every year to join in the festivities. Tourist shops are full of masks, from cheap masks made for tourists on a budget to really expensive, exquisitely handcrafted masks. Historically, masks were not worn only for Carnival. 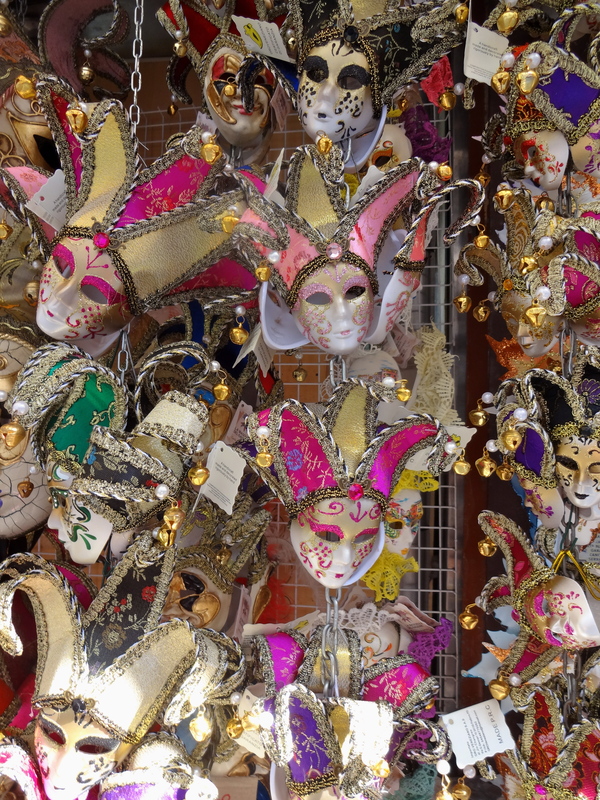 Venetians loved to wear masks for any possible occasion. Apparently there were many laws which specified when, where and who was allowed to walk around masked, especially for security reasons. If someone didn’t keep up their house in one’s neighborhood it would detract from the value. 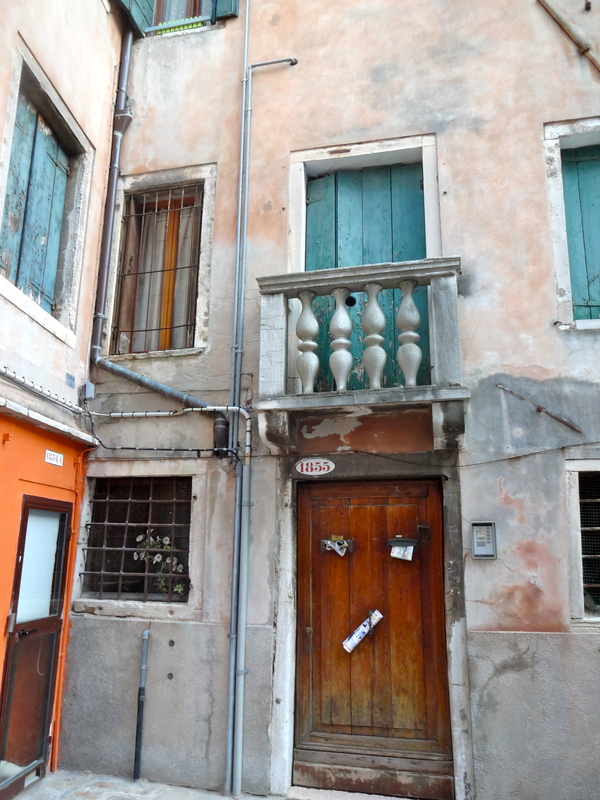 In Venice, the fading paint and peeling plaster seem to add character and charm! City planners with a sense of humor decided that Calle del Diavolo (Devil’s Street) should intersect with with Calle dei Preti (Priests’ Street). 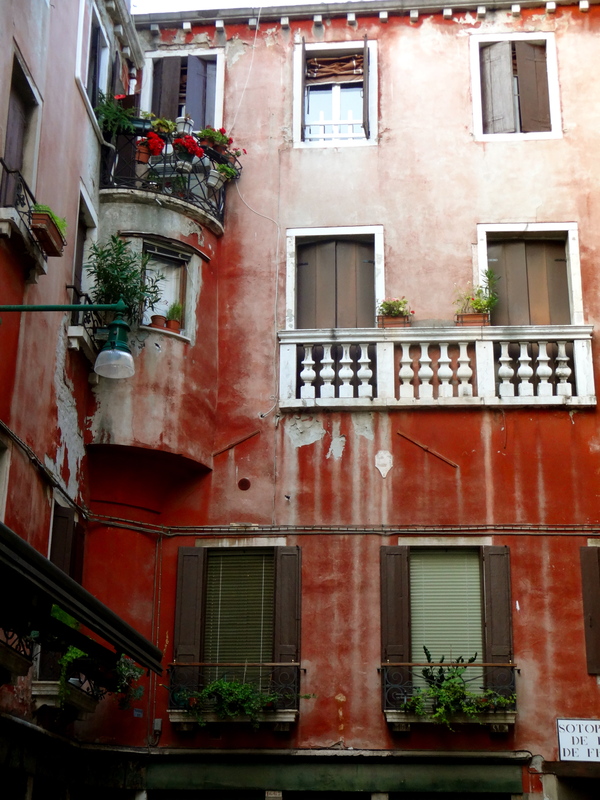 Apparently Calle del Diavolo, was named this way because there is a bridge at the beginning of the street which was known for its very steep and slippery steps where people would slip and fall, letting loose with some colorful expletives! 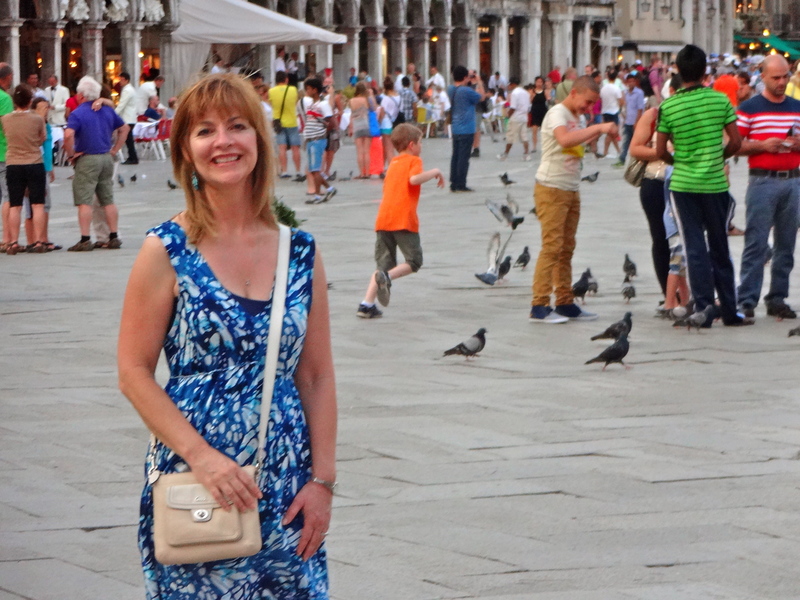 We spent a wonderful afternoon exploring Venice, until dusk came and we decided to head back to Verona. It was lovely to see Venice light up as we made our way back to the train station by vaporetto. 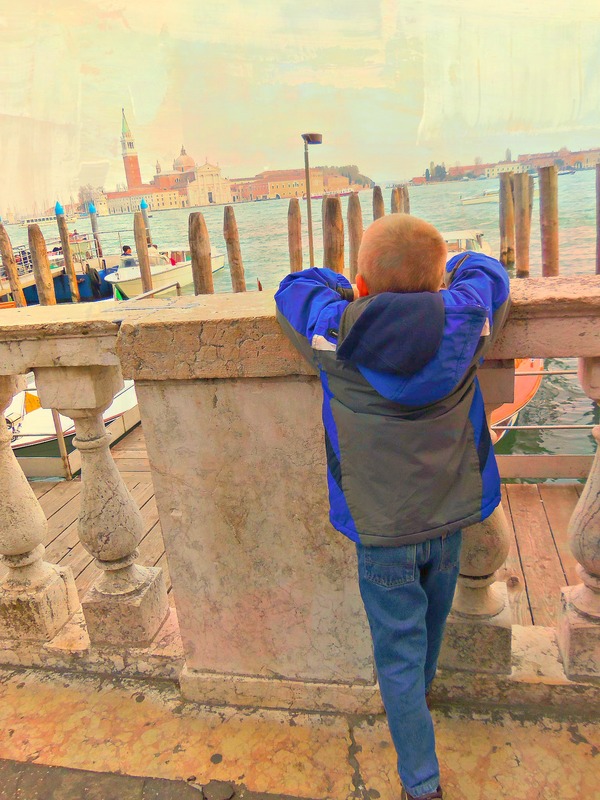 Venice is one of our top three favorite cities. There’s just no place like it! Be sure to put it on your bucket list!